Commission meetings are held every Tuesday at 9:00 a.m. in the Commission Chambers on the 2nd floor of the Minnehaha County Administration Building. If you wish to place an item on the County Commission meeting agenda, please contact the Commission Office at (605) 367-4206, no later than the Thursday prior to the next Tuesday commission meeting. 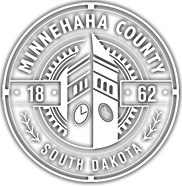 The Minnehaha County Commission meetings are televised live on Channel 16 at 9:00 a.m. and rebroadcast on Fridays at 10:00 a.m. and Sundays at 7:00 p.m.